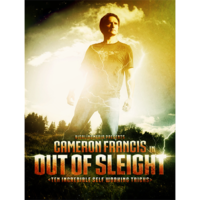 Today, when you order "Out of Sleight by Cameron Francis and Big Blind Media", you'll instantly be emailed a Penguin Magic gift certificate. You can spend it on anything you like at Penguin, just like cash. Just complete your order as normal, and within seconds you'll get an email with your gift certificate. Out of Sleight is a well produced easy to learn formatted DVD or download. I enjoyed his performance skills and the explanations are clean cut and easy to perform right away. 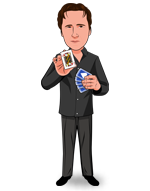 I highly recommend this for everyone, simple easy to perform magic that you can present in an amazing and believable way.